This popular book and valuable resource has been out of print since the 1970's. We are grateful to have been given permission to make it available to the public once again. "J. Hurley and Roberta Hagood are well known in Hannibal and Marion County for their research and writing of historic events in Northeast Missouri. "Hurley spent his boyhood in Hannibal and Roberta was born in Hannibal. Later she lived in Centralia, Illinois and Ralls County, Missouri. The Hagoods met while they were students at Hannibal-LaGrange College. Hurley is a graduate of William Jewel College, and Roberta continued her education at the University of Missouri and at Northern State University of Colorado. 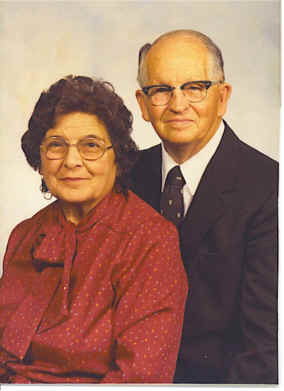 After their marriage in 1935, they lived 39 years in Oregon, Washington, Colorado and California. The Hagoods each had careers. Hurley was employed by the Boy Scouts of America 1935-1974. When they retired in 1974, Roberta was Director of Placement Services at Chapman College in California. 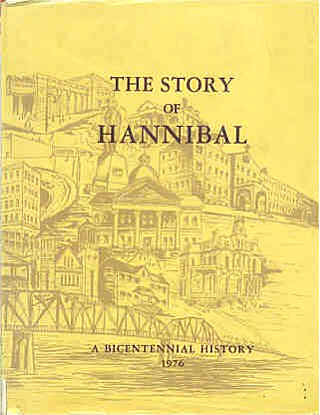 The reprint of The Story of Hannibal is possible because Roberta donated its copyright to Hannibal Free Public Library. The Library Board is deeply grateful to her. The Library also wants to express appreciation to David Norman of KHBL radio station, who was determined to see the book reprinted, to Jim Bastian of SPC Graphics, who oversaw the reprinting, and to the Northeast Missouri Community Foundation. The reprint of The Story of Hannibal is a fundraiser for Hannibal Free Public Library. It is the initial publication of the Hannibal Library Press. (2) "At the 100-year mark, Hannibal historian looks back on life's work," by Mary Poletti, Quincy Herald-Whig, published November 9, 2010 and updated December 2, 2010.